Amaya was about two and a half when I noticed she was exploding her pull ups at night. Not just once, but two or three times a night! This was unusual for her; she had been potty trained for nearly six months and rarely had an accident. If she wasn’t waking up because of a wet bed she be screaming, “I’m thirsty!” The crying wouldn’t stop unless we gave her something to drink. The thirst kept up in the day time too, sometimes reaching 60-80 ounces of fluid and it was very concerning. We took her in to see the pediatrician and he thought it was all of the new changes in our family. I had just had my son, moved into a new home and she started preschool. That was a lot for me to adjust to and I’m an adult. He told me to restrict her drinking at night and the nightly accidents would stop…All I could think was, “Uhhh, duh! Common sense tells everyone if you don’t drink you don’t pee. I have tried to restrict her drinking….it didn’t work…that’s why I’m here.” All I could do was agree to try again for a few days and wait to see what happens. What a nightmare. The first night we restricted her drinking, she still blew through her pull ups, soaking her bed three times. Not only did she wet the bed but she snuck into the bathroom and tried to drink the toilet water. She begged and pleaded with me to allow her to drink. My heart broke and I gave in and allowed her 4 ounces of water. She sucked it down like a fish but I think her exhaustion and tears finally allowed her some sleep. The next night was much of the same. She was very pale, weak and I noticed her eyes starting to droop. The crying wasn’t a tantrum, it was a cry of desperation, something wasn’t right and I wasn’t sure what to do. I gave in again and let her drink. I was at her pediatrician’s office before they even opened the next day. He ordered some more labs, suspecting Type 1 diabetes, or Juvenile diabetes. This wouldn’t have totally surprised me because my niece was also a Type 1 diabetic. However much I’d hate to have my child be an insulin dependent person, at least I’d know what we were dealing with. Its seems strange to say that I was somewhat discouraged when her tests came back negative. Her blood sugars were within normal range and we were back to square one. The doctor told us to track her fluid intake and to simply not allow her to drink at night. I still wasn’t 100% comfortable restricting her fluids because the sheer desperation in her eyes when I wouldn’t let her have it, but I would try again. In some ways I felt like the doctors thought I was being lazy, giving in simply because I didn’t want to have to deal with a tantrum or another sleepless night. I restricted her daily and nightly intake of fluids and everything intensified. Amaya complained of constant headaches, sometimes they got so bad that she would just cry, “Owwwww…Owwww…” and bang her head against the wall. Then her legs started to cramp regularly with any exertion and her complexion changed. One scary night she got out of our house and I found her drinking from the garden hose. She climbed the cabinets to get into sinks, licked the stale shower water out of the shower pan and hoarded juice boxes in her bedroom. One of the saddest things I had ever seen was her clawing the refrigerator at 3 am, hysterical with tears when she realized we had put a childproof lock on it to keep her out. She was hyperventilating, gasping between breaths, “Please, mommy…I need a drink! !” This wasn’t normal. I paged the doctor on call. Thank God Dr. T was on call that day, our saving grace. She was truly an angel and already had a history with my family and I trusted her. We met her by chance when Amaya was ten months old. I had taken Amaya to several doctor’s and emergency rooms over the course of eight days. At first, she was just running a fever that I treated with Tylenol, but it persisted. Eventually it reached 104.3 while on Tylenol and Motrin. She was extremely cranky and wasn’t eating or sleeping. A pediatrician prescribed antibiotics for her and 24 hours later she developed what looked like pink eye. Her eyes were swollen and bloodshot red. I felt so bad for my sweet little Mymy. We were prescribed more antibiotics and went back home. Twenty four hours after that she had a white coating all over her tongue that was mixed with red bumps. A new doctor told me that she had thrush and I was given yet another medication. That night, a nasty rash covered her entire body. Her skin literally looked like the bottom of a Crunch chocolate bar. She cried incessantly and stiffened her body as if she was in pain. I was back in the E.R. and the doctor scolded me for explaining her nonstop crying. She said, “Of course she is crying! You would be crying too if you were covered in a rash and had a fever with pinkeye!” I felt like she was saying, “You’ve neglected this child…you are getting what you deserve.” The doctor abruptly told me it was just an allergic reaction to one of the many meds she was prescribed. She sent me home with a cream to rub all over her skin and my defeated self sulked in a much needed bath. Amaya had actually slept for three hours when I was woken by her shrieking cries. I picked her up and she was on fire, the fever broke through the medications again. I was terrified when I flipped the light on and saw that her lips were bright red and cracked. They looked like she had been sucking a popcycle. Then I noticed that her hands and feet were puffy hands and shedding like a snakes. I couldn’t believe my eyes. It literally happened within hours. I looked at the clock and saw that her pediatrician’s office would be open within an hour. Given that the emergency room had sent back home for the third time the previous night, I thought I’d try this route. That’s where we met Dr. T for the first time. She sat and listened to me as I tearfully told her the about the progression of Amaya’s symptoms. I was never interrupted and when I told her I thought all of the previous doctor’s opinions were wrong, she agreed. 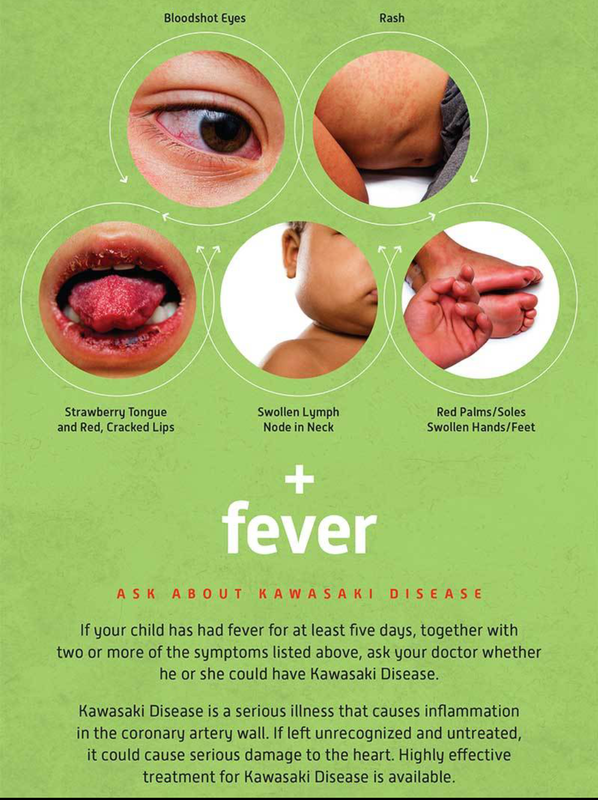 She told me she suspected that Amaya had Kawasaki’s Disease. This is a disease that affects the skin, mouth, lymph nodes, blood vessels and heart. Usually, it affects kids of Japanese or Korean descent but lately it has had no boundaries. She explained that this disease can be deadly if not diagnosed within ten days, resulting in aneurysms and failure of coronary arteries. My heart sank when I realized it was exactly day ten since the onset of her fever. Dr. T told me to take Amaya straight to the emergency room, she’d call the doctor there and let them know we were on our way. We arrived and were taken straight back into to a room. A whole gamut of tests were started and Amaya was diagnosed with Atypical Kawasaki’s disease. I am so thankful for Dr. T. If I had listened to the doctor the day before who told me it was just a rash resulting from an allergic reaction to meds, it probably would have been too late. 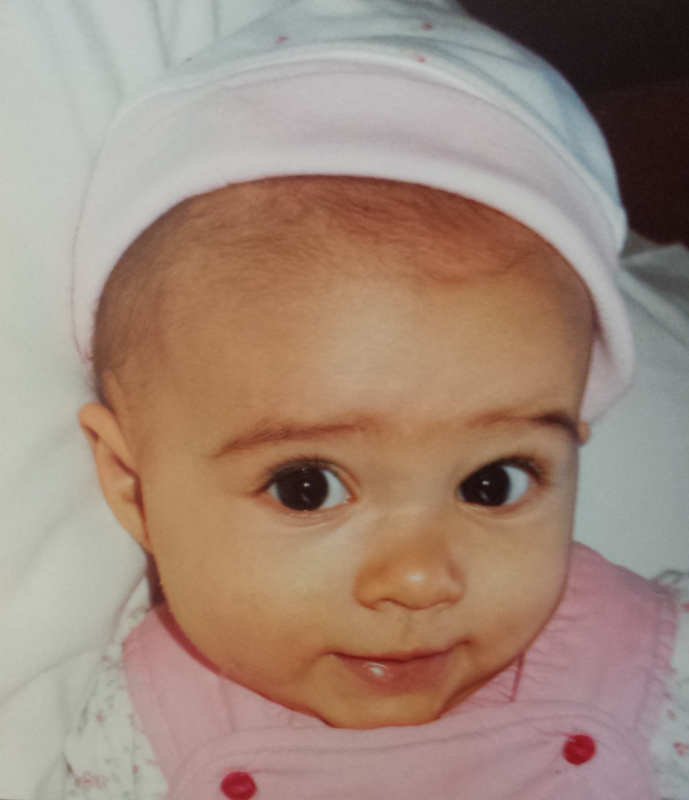 Amaya was immediately started on the IV meds and, thank God, never developed an aneurysm. Dr. T has been our pediatrician ever since. Now, during this new health crisis, she calmly explained to me what she was going on. “Okay, what is it then?” Just hearing her say don’t panic almost made me want to panic. Dr. T. said that she would be calling the hospital to get Amaya admitted and told me wait by the phone. Admitting would call me as soon as a bed was ready. I hung up the phone and looked over at my little girl. She was curled up in the fetal position desperately sucking on her sippy cup as if she hadn’t drunk for days. She had been crying that her legs were cramping and hurting and refused to play. Her bright brown eyes had been replaced with dull, droopy puppy dog features and her olive complexion had become pallor and blotchy. I kissed her on her clammy forehead and went to her to pack our bags for the hospital. *Stay tuned for part 2 of this story. **Have any of you experienced a medical mystery? Please share in the comment section below! This entry was posted in childhood, faith, family, Health, Illness, parenthood, Uncategorized and tagged Diabetes Insipidus, diseases, doctors, Faith, family, healing, health, hospitals, Kawaski disease. Bookmark the permalink.